Australian artist Dr. Sarah Jane Pell has exhibited since 1997. Themes of human-aquatic adaptation to other worlds and other extreme-performance interfaces are central to her work. She is best known for pioneering "aquabatics” that is performed underwater or shown in museums as films and artifacts. 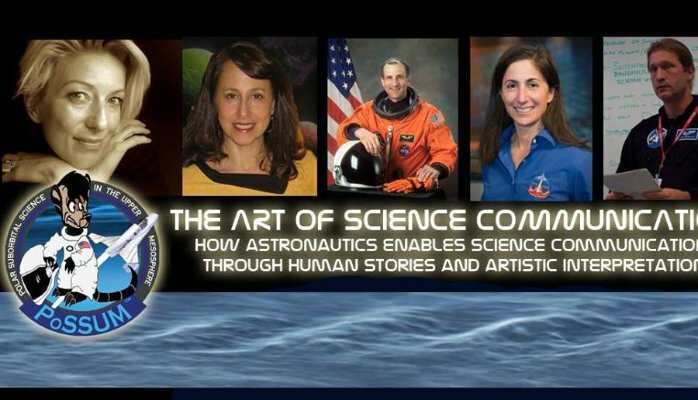 She also designs civilian space-analogues, produces speculative fiction, live art, and novel experiments, undertakes expeditions and contributes to exploration science and outreach. A visual and performing arts graduate of the Victorian College of the Arts, Victoria University, and Edith Cowan University, Pell went on to train at the Underwater Centre, Fremantle, the International Space University, Singularity University and Embry-Riddle Aeronautical University in preparation for a career in SeaSpace research and exploration. Dr. Pell publishes new research to understand bodies in extremis including life in space and related analogue environments. Pell established the Aquabatics Research Team initiative [ARTi] for performing pneumatic acts (See Under Current 2002-6, Petrification 2005); integrating advanced-life support systems with choreographic media (See Trans.Port, 2004, Interdepend 2005); and designing and demonstrating prototype-breathing apparatus (See Hydrophilia 2004-6, Odyssey 2005, Tract 2006). From 2003, Pell also aligned herself with SymbioticA: the art and science laboratory at the School of Anatomy & Human Biology, UWA. She collaborated with pioneer bio-artists on the ‘LifeBoat Project: a mobile performance and biotechnology lab’ contained within a ship’s lifeboat and home to the processes of life itself. By 2005, Dr. Pell was selected for the League of New World Explorer as Official Artist-Aquanaut of the subsea habitat Atlantica Expeditions citizen-led program towards permanent undersea human presence and zero-waste colony. The first artist to graduate from the International Space University, Dr. Pell led and co-authored the successful SSP06 team project ‘Luna Gaia: a closed loop habitat for the Moon’ under Co-Chair Gen. Dr. S. Pete Worden. NASA HQ approved and adopted outcomes and Popular Science 2007, animated the design and called it “a self-sustaining lunar habitat that would make Al Gore proud." 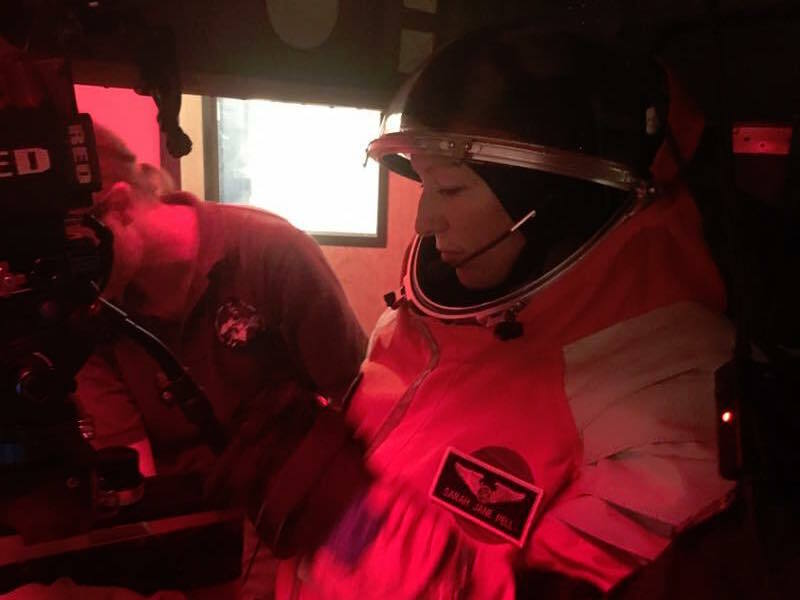 She also participated in the 2006 NASA-SETI Haughton-Mars Project, HMP Lunar Medical Contingency Simulation; Non-tethered Neutral Buoyancy EVA SIMs in France 2006. In parallel, she devised ‘SubCulture: a liminal Bio Sphere’ with art and science producers The Arts Catalyst, London. Her own long-duration submersion-act, SubCulture proposed to examine the human experience on artificial worlds and the bio-political implications of the astrobiological condition. Her activities revealed that divergent human embodiment is indistinguishable from environmental interactions from sea, to summit, to space. Leonardo LABS, MIT, awarded her PhD on Aquabatics as the “Best PhD Art & Science” 2007. Between 2008-2012, Pell logged over 500+ hours as an Occupational Diver contracted to perform repetitive black-water operations under extreme conditions in the remote, wilderness of Macquarie Harbour. She also visited many space agencies and designed and exhbited a space-art payload that was launched into orbit with JAXA 2009. Valued as an orthogonal thinker, Pell received a priority-scholarship to the Singularity University in 2010 to conduct a NASA-commissioned technology impact report, predict exponential space technology trends, and map pathways to positively impact a billion people in ten years. Her team ignited startups including MadeInSpace and Escape Dynamics. Pell founded Bio-Enhancement Space Technologies [BEST], which failed to get traction. 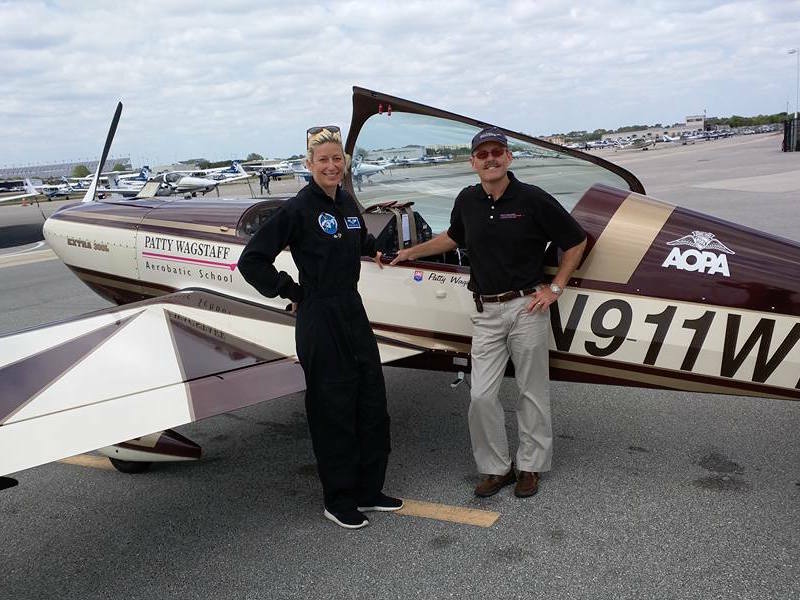 She also co-developed and led tethered-EVA SIM Workshops with Astronaut Dan Barry, NASA Ames Pool 2010; and participated in FMS and VMS Shuttle Pilot Simulations at NASA Ames 2010. Since 2012, Pell has been a Research Associate: AEGIS Research Group (Arts, Ecology, Globalization & the Interpretation of Science) within the RMIT University, School of Art. Many technical and creative publications have resulted (See ‘Ocean Synapse’ with Ben Burke, ‘Aquabatics: a post-turbulent performance in water’, and Moon-to-Earth art transmissions 2015). A Visiting Research Fellow, RMIT University 2012-2015, Pell has hacked interaction design and digital systems for use underwater at the Exertion Games Lab and co-authored multiple papers and ARC Discovery submissions on ‘Designing Aquatics Digitial Play to Benefit Australian's Well-being'. 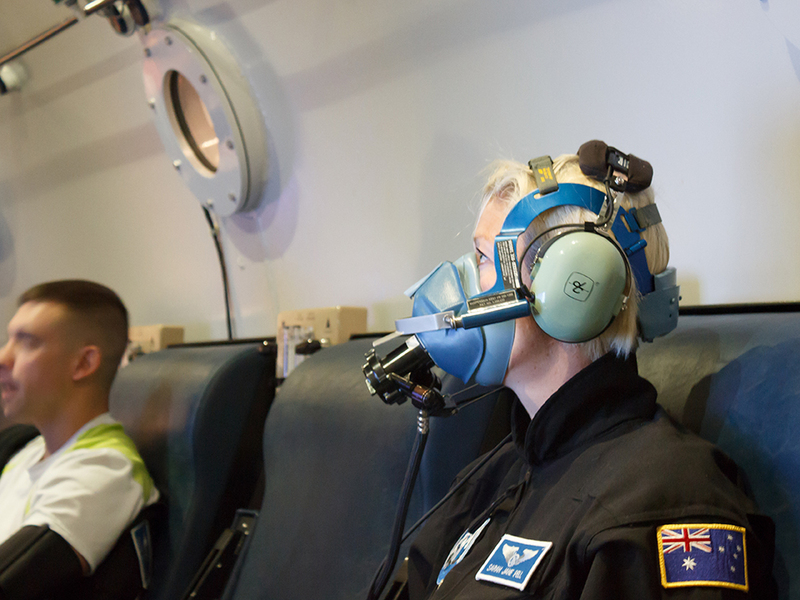 As Visiting Faculty, International Space University Southern Hemisphere Pell led EVA Simulation Training Underwater with a remote Mission Control Workshop over 2days with 40 students in 2013. In 2015, she penned ‘Bodies in Extremis’ for publication in Star Ark: a Living, Self-Sustaining Star Ship by Prof. Rachel Armstrong Eds. 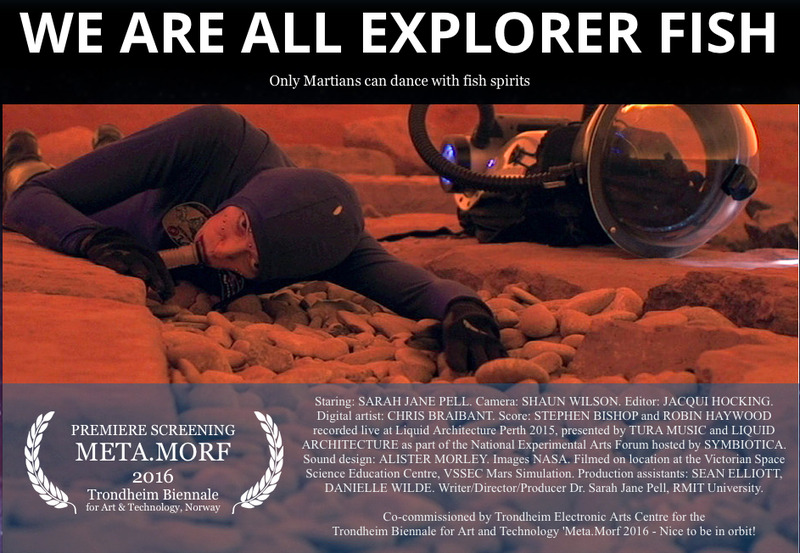 It also inspired a short film set on Mars We are all Explorer Fish which premiered at Meta.Morf 2016: Trondheim's Art & Technology Biennale (See http://www.explorerfish.movie.com). Dr. Pell's independent expeditionary-research occurs from SEA, to SUMMIT, to SPACE. 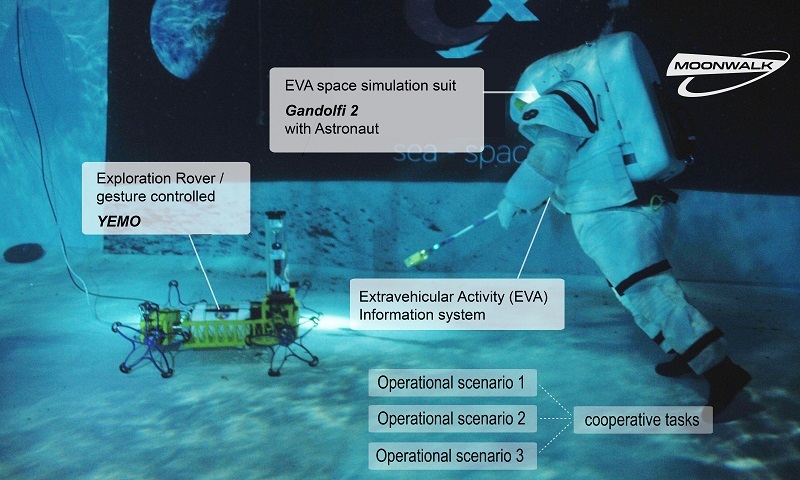 In 2016, Pell partners with Project MOONWALK as the Simulation Astronaut for the Human-Robotic Collaboration EVA Simulation Mission trials at the Comex Undersea Lunar Analogue site, Marseille FR. This 3-year cooperative Research & Development project is funded by the European Commission, and Pell's participation is supported by Skycorp Inc. (See www.projectmoonwalk.net) #artistastronaut #projectmoonwalkeu #comex #aquabatics. Prime Crew for the Project POSEIDON: 100 Day Undersea mission, Dr. Pell will join the SeaSpace Research and Exploration Society team at Aquarius Reef Laboratory, US in 2018 for a short duration research visit (6-14 days) as an Artist-Aquanaut. (See www.projectposeidon.org) #projectposeideon #SeaSpace #aquariusreef #aquabatics. Pell still dreams of an undersea studio: exploring practice-led-research that combines the body, technology and water in practical and instrumental ways to address present performance and future human interaction (See www.aquabatics.org) #aquabatics. PASSWORD: Gandolfi-2 MOONWALK Suspension #3 iWAIT by Sarah Jane Pell 2016. Pell has been a visual and performing arts professional for 20 years. Her curiosity for exploration leads to human expressions of wonder and awe.